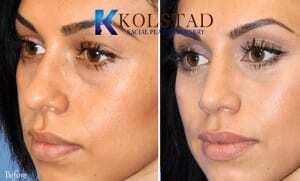 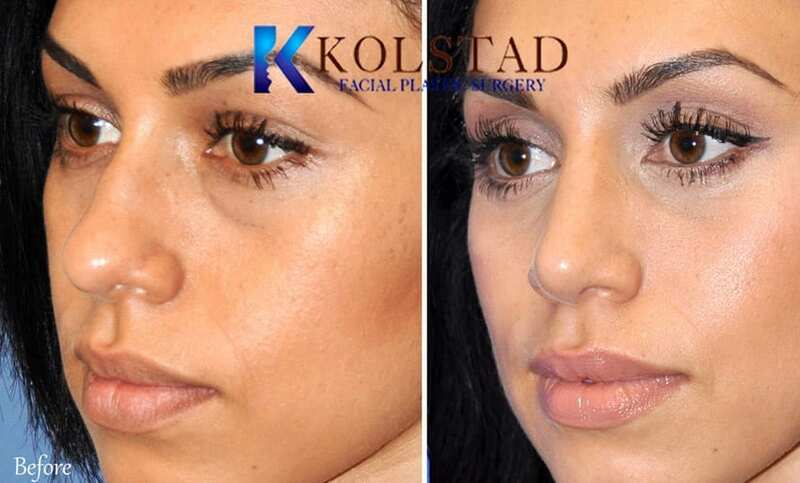 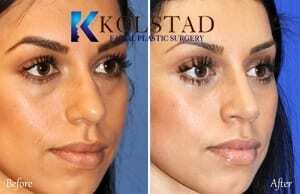 Hispanic rhinoplasty is one of Dr. Kolstad’s most common procedures. San Diego has a diverse community with people from every part of the world. 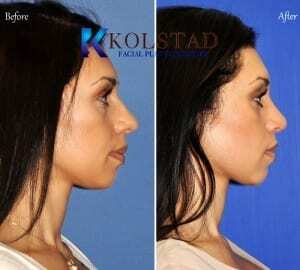 Many nose job surgeons will have the same rhinoplasty result for every face. 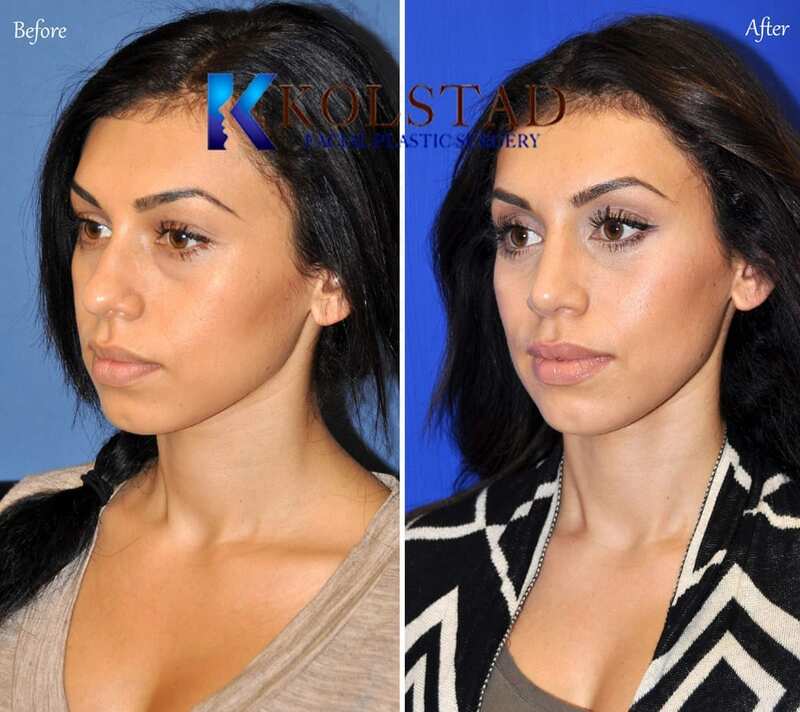 Dr. Kolstad specializes in achieving unique results that match your features as well as your ethnic background. 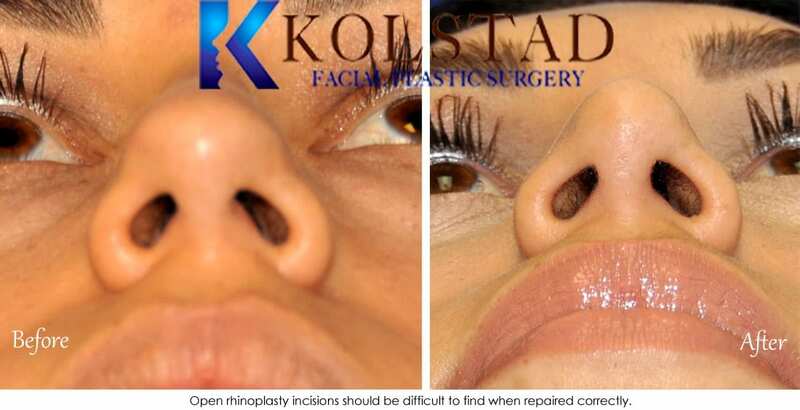 This patient did not like the tip of her nose. 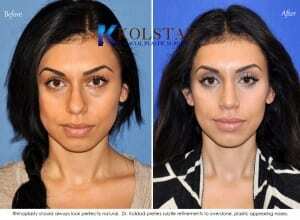 She felt like it was too wide and was not proportionate to her other features. 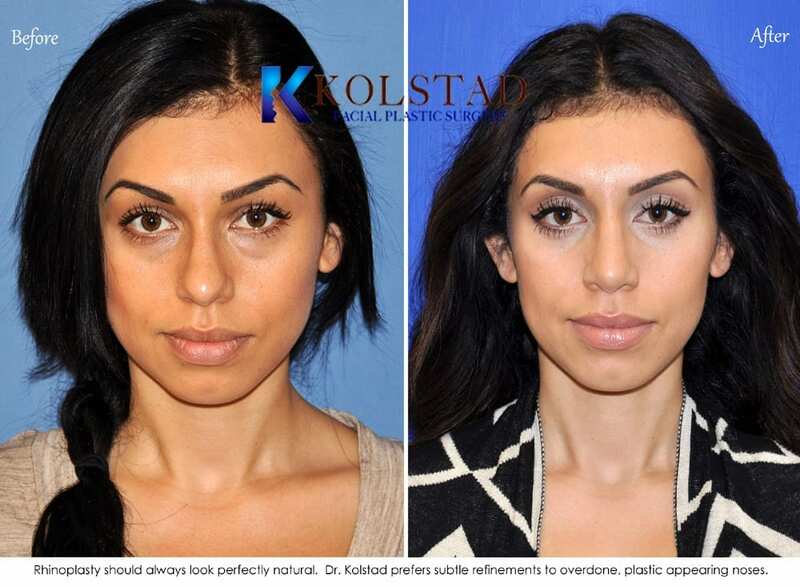 She had a small bump on the bridge of her nose but her primary goal was to bring the tip into balance with her other features. 1) Hispanic Rhinoplasty San Diego 200: Rhinoplasty should always look perfectly natural. 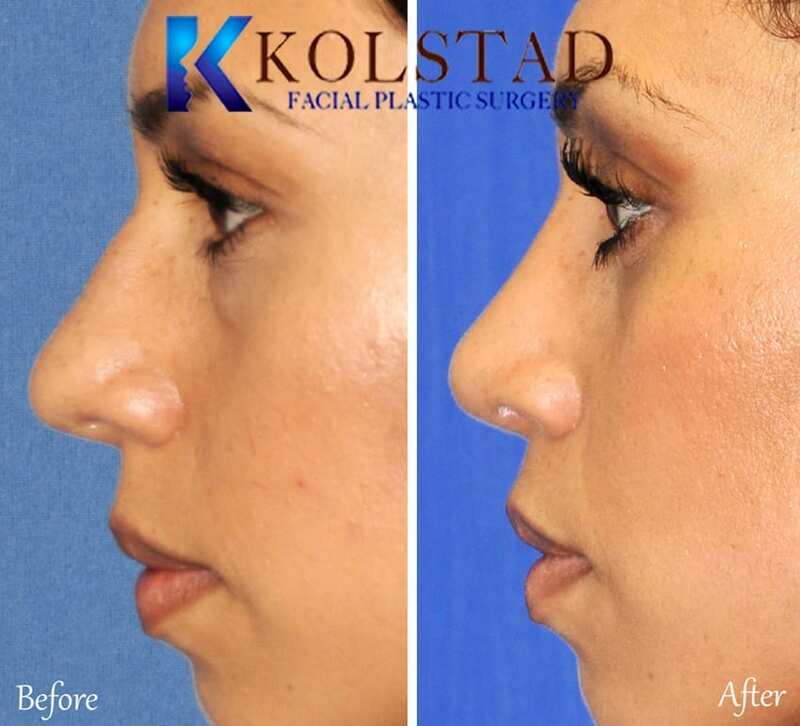 Dr. Kolstad prefers subtle refinements to overdone, plastic appearing noses. 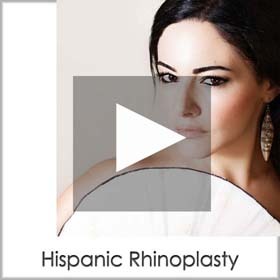 2) Hispanic Rhinoplasty San Diego 202: Rhinoplasty does not need to be overdone. One to 2 millimeters can make a dramatic difference in the presentation of a nose. 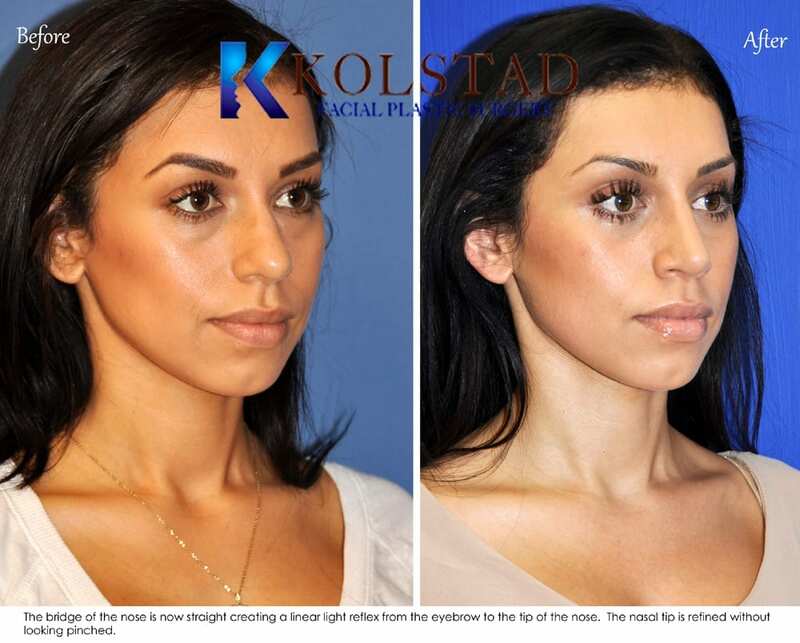 3) Hispanic Rhinoplasty San Diego 201: The bridge of the nose is now straight creating a linear light reflex from the eyebrow to the tip of the nose. The nasal tip is refined without looking pinched. 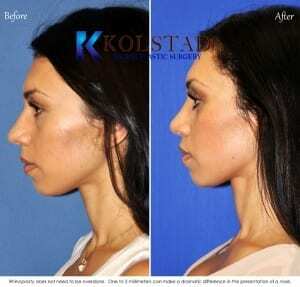 4) Hispanic Rhinoplasty San Diego 208: Open rhinoplasty incisions should be difficult to find when repaired correctly.